Hemophilia A is an inherited and X-linked recessive bleeding disorder caused by the deficiency and/or dysfunction of a blood-clotting protein, Factor VIII (F8). Located on the X chromosome, the human F8 gene is 186 kb in length and consists of 26 exons. Clinical studies have shown that hemophilia A is mainly caused by point mutations, gene inversion, and deletion and insertion of small gene fragments in the F8 gene. 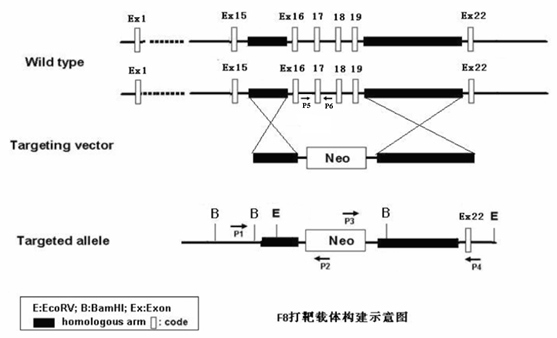 The F8 gene knockout mice developed by Shanghai Model Organisms Center (SMOC) were generated by inducing a partial deletion (exons 16-19) of the endogenous F8 gene using homologous recombination in mouse embryonic stem cells (SCR012, derived from 129S6/SVEV), which were subsequently used to in conjunction with a tetraploid compensation technique to create F8 gene knockout mice with the complete embryonic stem cell origin. 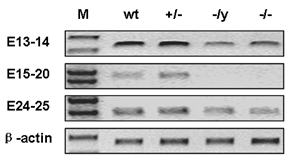 The F8 gene knockout mice were then mated with C57 BL/6J mice. The strain name of the mice is B6.129-F8tm1Smoc and the strain number is NM-KO-00012 (enter the ordering page). 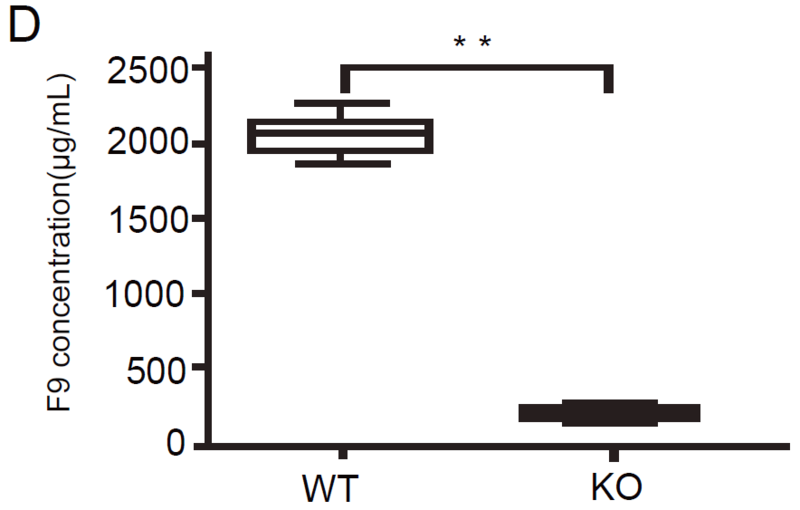 During tail clip and toe numbering of these knockout mice, if timely hemostasis treatment is not given, male heterozygous mice and female homozygous mice will die due to massive blood loss. The assay of F8 activity (Fig. 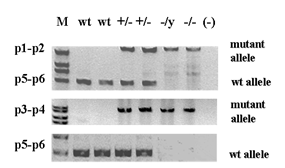 5) showed that the F8 activity in male heterozygous (-/y) and female homozygous (-/-) mice was only 8% and 10% of that in wild-type (wt) mice, whereas the F8 activity in female heterozygous mice was 80% of that in the wt mice. 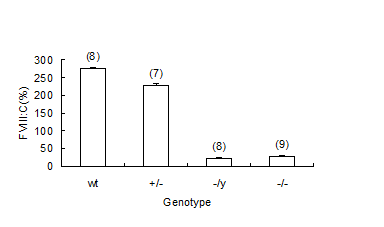 The assay of activated partial thromboplastin time (APTT) (Fig 6) showed that the APTT in female heterozygous mice was slightly longer than that in wt mice, while the APTT values in male heterozygous (-/y) and female homozygous(-/-) mice were both greater than 120 sec. F8 gene knockout mice are an ideal animal model for studying the pathogenesis and drug screening of hemophilia A at the whole animal level. In addition, F8 gene knockout mice can provide an ideal animal model and a novel research tool for the screening and evaluation of hemophilia A drugs as well as the gene therapy of hemophilia A. F8 gene knockout mice provide an effective tool for further elucidating the pathogenesis of hemophilia A, for the evaluation and screening of drugs used for the prevention and treatment of hemophilia A, and for the development of new therapies. Hemophilia B is an inherited and X-linked recessive bleeding disorder caused by the deficiency and/or dysfunction of a blood-clotting protein, Factor IX (F9). Located on the X chromosome, the human F9 gene is 32 kb in length and consists of 8 exons. Click here to enter the ordering page. 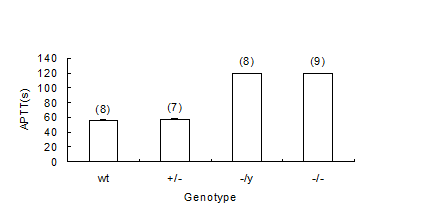 Fig7 Generation of F9 mutant mouse strain. 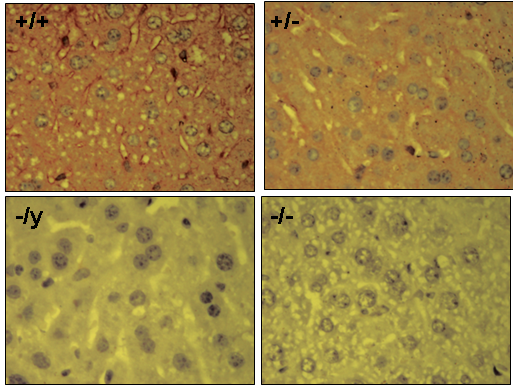 Fig8 Expression of F9 mRNA in the hepatic tissue of WT and KO mouse strains. 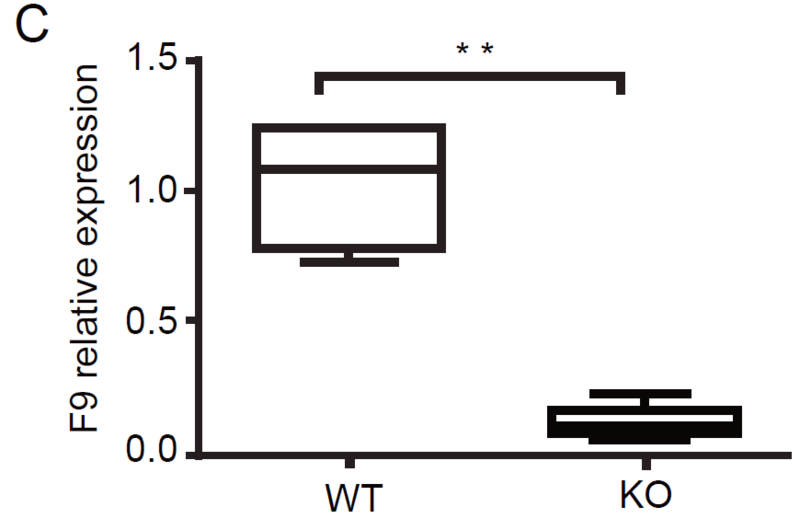 Fig9 Concentration of FIX protein in the plasma of WT and KO mouse strains. Data in c and d were acquired from 8 mice per group, and are shown as the mean ± the s.d. The mice are acclimatized for 1 week and then assign to different groups for drug administration. Blood coagulation experiments are performed at 15 min after drug administration and 20 mice are tested every day. After the completion of the blood coagulation experiment, the mice are recovered for 2 weeks (about 30% of the HA mice may die during this period) before they are given the second dose of the drug. After 15 min, the eye of the mice is removed to collect whole blood samples, which are then treated to isolate plasma for the measurements of APTT and FIB as well as the ELISA assay of D-Dimers.